The ICT in Long Beach previously served us a dish of deep thought with Red, a study of artist Mark Rothko and his work. 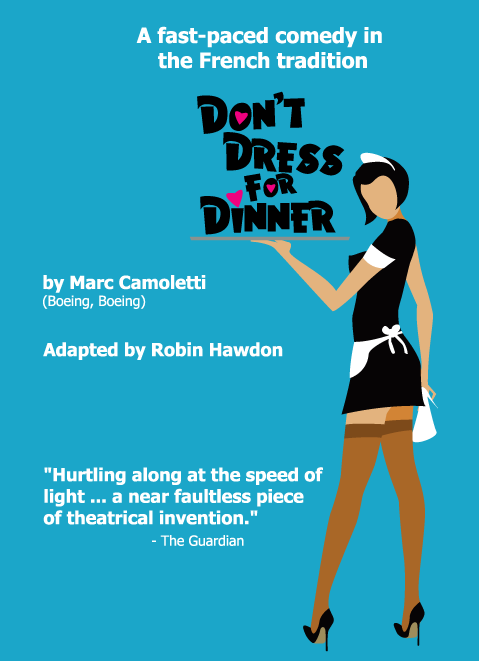 With Don’t Dress for Dinner, the company caps off its 2013 season with the sort of play that deliciously frustrates the critical writer, a production whose lack of substance is absolutely irrelevant to its quality and capacity to delight. 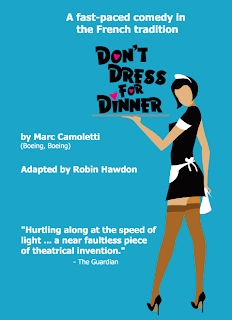 Don't Dress for Dinner, by Marc Camoletti. Adapted by Robin Hawdon. On stage at the International City Theatre in Long Beach from October 9th to November 3rd, 2014. Thursday - Saturday at 8p. Sunday at 2pm. Call 562-436-4610 (M-F 9am – 5pm) or visit www.ictlongbeach.org for tickets and information.